Despite this, it seems that traditional publishing houses are still the preference of today’s readers because too many self-published books of very low quality have flooded the market. By not involving the same professional publishing services normally associated with traditionally published books, indie authors, and self-publishing in general, have gained a reputation for producing low quality products. It stands to reason that authors should pattern their business model after the traditional publishing houses. Self-publishing should not mean poor quality products. 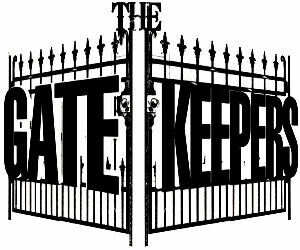 Replace the gatekeepers by becoming an indie author, but replace them—don’t completely lose the benefits of being traditionally published. As an author, you have the same responsibility to consumers no matter which method of publishing you choose. 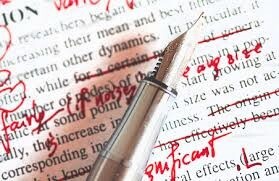 You have some options for putting all the professional touches on your manuscript. You can hire freelancers individually or use a self-publishing house. Hiring freelancers individually can be a daunting task, both from understanding what to look for in each professional and in cost. Self-publishing sites tend to offer what appears to be a more cost effective and less time consuming approach that is quite appealing to authors. Whichever direction you go, you owe it to yourself to consider your options carefully and beyond cost and convenience. Self-publishing houses offer “package” deals, selling you the concept of bundling for savings and leaving it all in their hands so you can write. These companies are designed to profit based on quantity and secondarily, by taking a piece of your royalties. They have streamlined processes that push you and your manuscript through hoops as quickly as possible, and generally eliminate all the communication you seek with the professionals involved. While you may be happy with the customer service rep you speak with and the ease with which publishing can be done so you can focus on your true craft—writing—that rep is rushing to meet production goals and assigning others on staff that will take the same approach. They leave you with a sense that they are invested in the quality of your book because they are affected by book sales, but the reality is that quantity of clients is their main objective. Many authors are quite pleased with the results of working with self-publishing houses and find success through them. It’s not the purpose of this article to say that no one should use them. You’ve worked hard on that manuscript–you deserve to know what your options are and should have the opportunity to work with service providers that will also work hard while taking it the rest of the way with you. For several years now, two types of authors have approached me more and more frequently. The first one is the author that is more independent than a self-publishing house can satisfy, or more experienced, and the other is the one that did work with one, only to realize $4,000 later, the decision was not what was best for their career as a published author. The unsatisfied author complains of poor communication, high costs, poor cover designs, poor editing/proofreading, and poor marketing from their package deal. 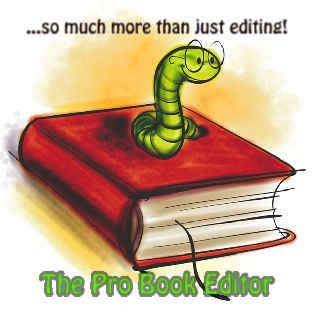 Many of these authors show me customer reviews on Amazon during our initial discussion that sites them for editing and/or proofreading errors after they paid for editing and proofreading services. The impacts from that are devastating to an author’s career, long term, and unacceptable! Often, the self-pub house’s rules make it impossible for them to work with anyone outside of their company—leaving them with no choice but to settle or start over from scratch. Some self-publishing houses will allow updates, but charge exorbitant fees to implement them. The self-publishing house’s ‘profit based on quantity of clients’ (not book sales) business model simply isn’t a good fit for every author. 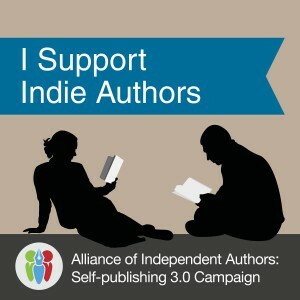 Pretty quickly it became clear that more options for indie authors are needed. Today’s authors need direct access to quality minded professionals, training, and consultation services customized for their individual needs. They need help from real professionals who already have a vested interest in the book market so that they can match, if not surpass, the quality and reputation of products published traditionally. That’s why I started Indie Author Publishing Services. It is self-publishing designed to give the writer total freedom, control, convenience, and affordable pricing. IAPS focuses on quality and holds its team members accountable for quality first, not quantity, and production goals second. Every team member depends on their client’s satisfaction to grow their resume and ensure continued membership as a service provider. IAPS offers services for all of the aspects of publishing in an a la carte style so you can choose only what you need, and offers training and consultation services custom tailored to your goals and style. Put simply, IAPS gives you direct access to professional and highly recommended service providers and trainers. They all have years of experience, and you only pay for the services that you choose. You can be free to continue writing while being in control over the path your book takes—IAPS partners you with a publishing consultant upon an initial free consultation and that consultant works with you through the entire process. You can replace the gatekeepers and put an independently published book on the market without sacrificing quality. You have more options than just self-publishing house package deals and searching for a team of freelancers. IAPS is a team of freelancers, at your service. This is great. Really useful advice, thanks.